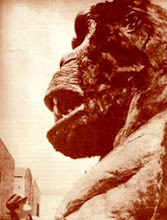 Coming soon...to a DVD near you !...Monster Gorilla ! 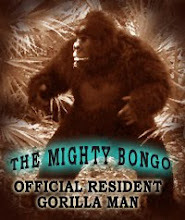 Once again old Bongo finds himself behind the ape ball, trying to keep up with all my ape-ly duties. 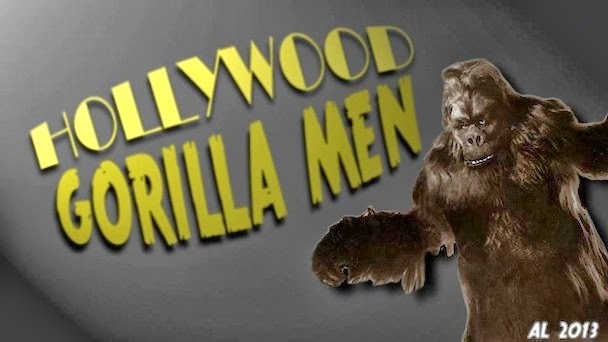 If you're wondering why I've been so negligent of my HGM duties, well I've teamed up with Nightveil Media, and Marauder productions to bring you a new classically styled monkey movie ! Bill Black has crafted a really fun romp mirroring all the classics of the past ! Oh, glad you asked ! And a slew of others that inspired elements of the film, some which are actual story elements ! The film stars the stunningly beautiful Heather Brinkley as the hapless heroine Heather. The co-stars include the incomprehensibly manic Bill Fredericks as Vornoff. 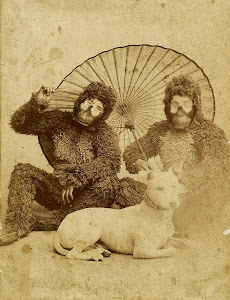 The talented Scott Mena, Yours truly Chris Casteel as (you guessed it ) a gorilla ! And introducing the newest member to our gorilla family,( a gorilla girl, though she plays a male gorilla)...my daughter, Kelley Young ! Kell is a real chimp off the old block, giving a fantastic performance. The film will be presented in several formats: a 30 min. color version, a 30 min version in glorious Black and White , a 20 minute film festival version, and an extra special 12 minute version specially mastered to look like an authentic Castle Films version ! Plus A few surprises ! For those unfamiliar with Castle Films, before the advent of VHS as a home movie format, the only way to watch movies at home was with an 8 mm, super 8 mm, or 16 mm film projector. Famous Monsters of Filmland ! Castle Films is now owned by the great Craig Scott Lamb who is also the owner of American International Pictures ! Here is the Trailer for Monster Gorilla ...Enjoy gang !! !